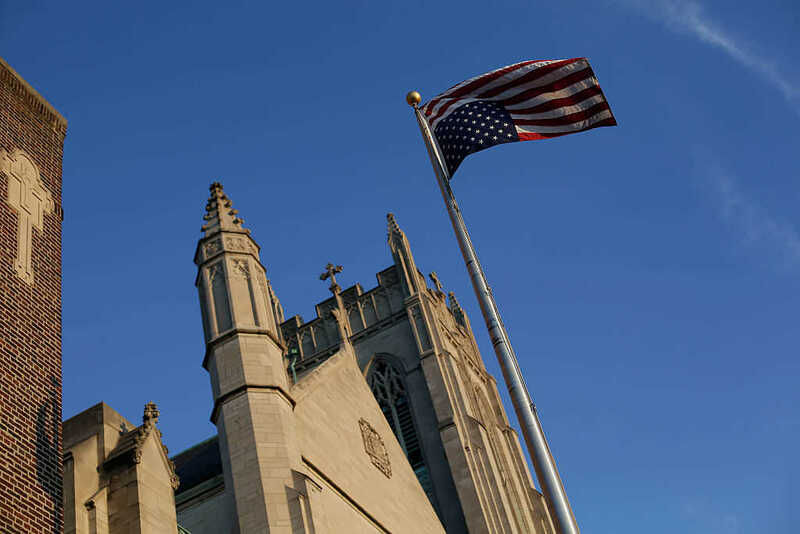 Several pastors have issued warnings ahead of the July 4 celebrations against being overly patriotic in church, noting the combination of national pride and Christian ministry can result in idolatry. According to Christian Copyright Licensing International, among the top 10 most popular patriotic songs sung in church are “America the Beautiful” (#1) and the 1984 country hit “God Bless the USA” by Lee Greenwood (#5). Pastors, if you’re planning a patriotic worship service tomorrow, you still have 24 hours to change your mind. There is one body and one Spirit – just as you were called to the one hope that belongs to your call – one Lord, one faith, one baptism, one God and Father of all, who is over all and through all and in all. But Baptist elder and Gospel Coalition regular columnist, Jonathan Leeman, went even further. He argued that when you mix Jesus with nationalism or partisan politics, you run the risk of counteracting the call to evangelize.